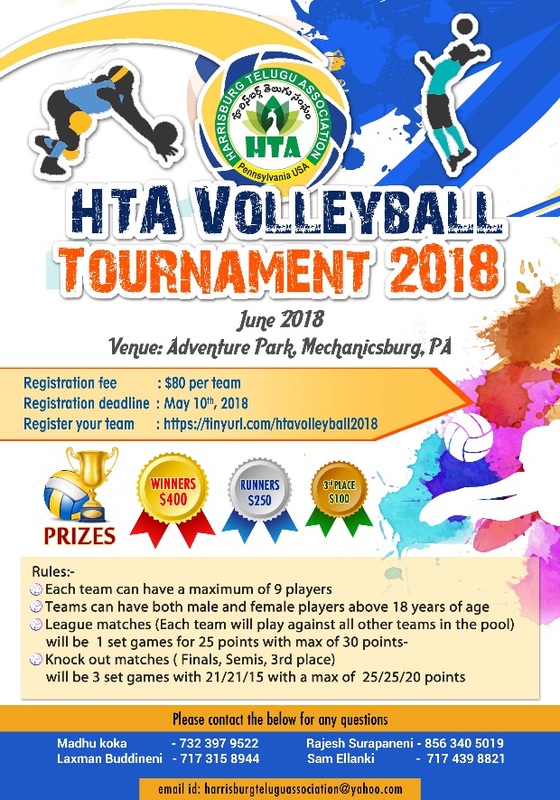 Harrisburg Telugu Association (HTA) of Pennsylvania is a non-profit cultural organization representing the Telugu speaking people from the states of Andhra Pradesh and Telangana, Southern India, residing in the greater Harrisburg of Pennsylvania. Initially, a small group of enthusiastic Telugu speaking people gathered on July 15 2002, to form HTA and never looked back since then. The strength of the Association is growing immensely with over 500 members/families as registered members.